In the aftermath of 9/11, the bread and butter of the defense industry shifted in many ways from focusing on big-ticket Cold War items like tanks and fighter jets to the world of counterterrorism and counterinsurgency. With this new paradigm came waves and waves of self-appointed experts, clueless academics, and hucksters trying to sell crap to the Department of Defense. This trend continues to this day, although it has been shifting into the even more nebulous area of cybersecurity, which is even better for contractors given that the 60-year-old men who run the Pentagon don’t know anything about computers. The situation is so bad in the Department of Defense that when you come across an “expert” who dubs themselves a COINista, you should run, not walk, away. These folks are the reason why we are fighting the same war today that we were fighting in Afghanistan 16 years ago. One person who I always appreciated for having an actual track record of success is Eeben Barlow. Having served in the South African Defense Forces as a sapper in the Infantry and Special Operations, Barlow went on to found a private military company called Executive Outcomes. EO beat back UNITA in Angola for the democratically elected government before driving the barbarous Revolutionary United Front to their knees in Sierra Leone. Today, Barlow serves as the chairman of STTEP, a PMC that took the fight directly to Boko Haram. Oddly, the United States government puts pressure on the host governments to remove Barlow’s people just as they begin experiencing success in defeating anti-government forces. 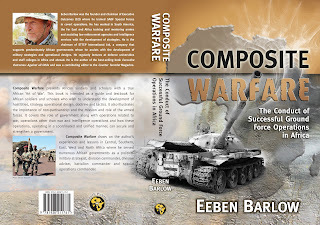 Using his background in counterinsurgency and irregular warfare, Barlow has recently written a book titled “Composite Warfare,” and it is the go-to manual for warfare in Africa, written by a man who has experienced it. Barlow emphasizes an Africa-centric approach that eschews the over-philosophizing of political scientists, doctrine writers, and alleged COIN experts. Barlow wrote the book to pertain specifically to war on the African continent, but in this reader’s opinion, Barlow’s stripped-down language and no-nonsense approach to what is a normally convoluted subject in military literature makes this book worthwhile for any student of military history. As Barlow writes in his book, “Part of the dilemma African armies face is the continued creation of new words, terms, and phrases to describe the same action or phenomena. This has led to a large amount of confusion for commanders and leader in the field.” Using graphics, bullet points, and written explanations, the author leads the reader to an understanding about the boots-on-the-ground tactical approach, from movement techniques and types of operations to the big picture that supports the pillars of government. “Composite Warfare” ties them together and demonstrates how a military campaign has to function as a mutually supporting effort that supports the state rather than undermines it. Comprehensive in nature, “Composite Warfare” examines appropriate force structures, air power, reconnaissance, maneuvers, mobility, air power, intelligence, retrograde operations, developing military strategies, and plenty more. Barlow treats warfare in Africa with a cultural appreciation, as opposed to a cookie-cutter, one-size-fits-all approach frequently employed by U.S. Special Forces, who simply mirror our own force structure in the host nation counterparts they train. This is why the United States often trains foreign troops with tactics straight out of the Ranger Handbook, tactics that don’t work for indigenous forces. In a past SOFREP interview with Barlow, he said that “poor training, bad advice, a lack of strategy, vastly different tribal affiliations, ethnicity, religion, languages, cultures, not understanding the conflict and enemy,” were hallmarks of Western training provided to African armies. “Much of this training is focused on window-dressing, but when you look through the window, the room is empty,” he concluded. “Composite Warfare” is recommended reading for students of military history and strategy, including active-duty Special Forces soldiers charged with conducting Foreign Internal Defense (FID). 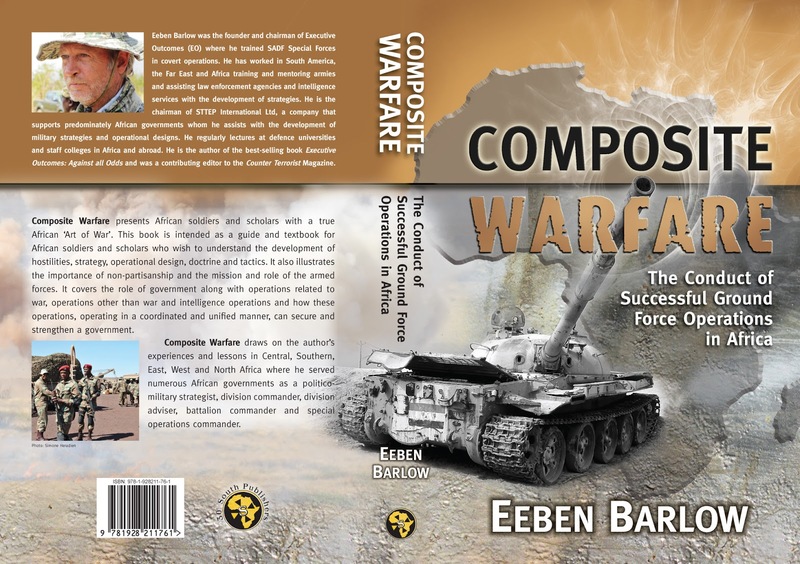 Although the book will prove especially helpful to those serving in African militaries, “Composite Warfare” will no doubt became a seminal work on modern warfare in Africa, one practitioners and academics alike will reference well into the decades to come. Let us hope that Barlow’s lessons are learned and internalized, lest we repeat the same mistakes in Africa for another half-century.